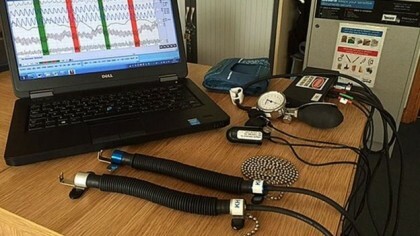 Don Awunah, Abuja: The Nigeria Police Force will subject successful candidates in the ongoing recruitment exercise to compulsory polygraph test (lie detector Test) this test will be in addition to the general background check, biometrics, medical, physical examination, aptitude, oral and psychological tests. The Police will also conduct a thorough verification of all documents submitted by prospective candidates. The Inspector General of Police IGP Ibrahim K. Idris gave this directive while reviewing the recruitment exercise so far and expressed satisfaction with the progress made in recruiting Ten thousand personnel into the Nigeria Police Force. The IGP said that no candidate will be admitted for training at the Police academy and colleges without undergoing these prescribed tests. The Polygraph test is aimed at ensuring that candidates are not of questionable character and their behaviours conform with standard rules of behaviour expected of an officer to be recruited into the Force. The Police Academy and other training Colleges across the country will be equipped to carry out the necessary tests. The Nigeria Police Force is determined to ensure that the current recruitment exercise conform to acceptable standards necessary for an ideal Police officer the Nigerian people deserve.